Wily Fox Brewery have been working on something very special, an exciting idea born from a close association with Wigan Warriors. Wily Fox have been involved in running outdoor bars for Wigan Warrior events and hosting Brewery Tours for Wigan Warriors Business Club. This led to a desire to create a Craft Beer in tribute to Wigan Warriors RLFC, Warrior IPA was born. IPA is an iconic beer style, perfect fitting for an iconic Rugby League team. A winning combination of English and American hops deliver a bold hop character to lift this champion Golden IPA into a class of its own. Warrior IPA has been brewed with an explosion of American and English hop varieties to tempt the taste buds, giving way to a clean, dry finish. Dave Goodwin Wily Fox Head Brewer, created Warrior IPA to be a distinctive flavoursome, quaffable ale, bursting with a grapefruit, citrus zing. 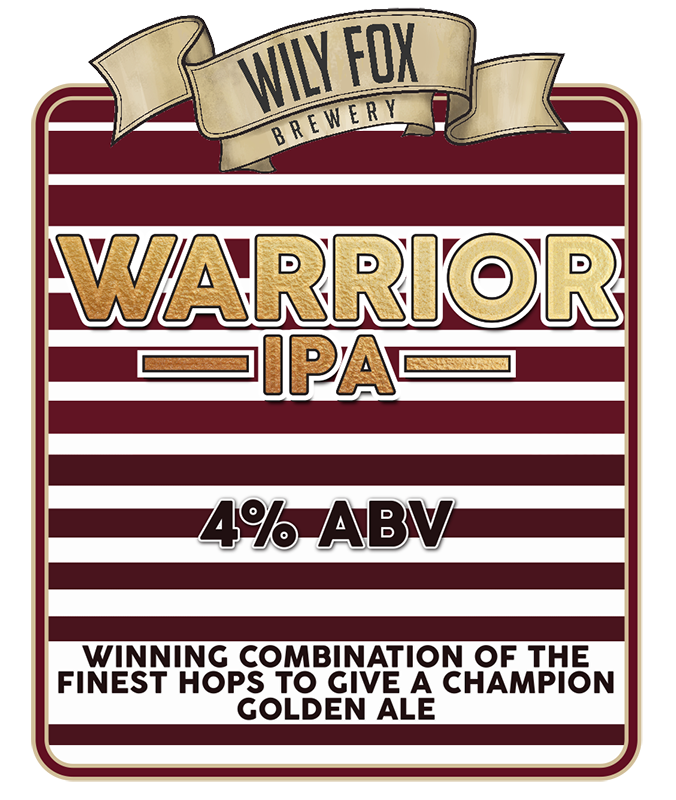 Warrior IPA will launch on Fan Day this Saturday 22nd July, at the Fairhurst Accountants Community Stadium, Orrell. 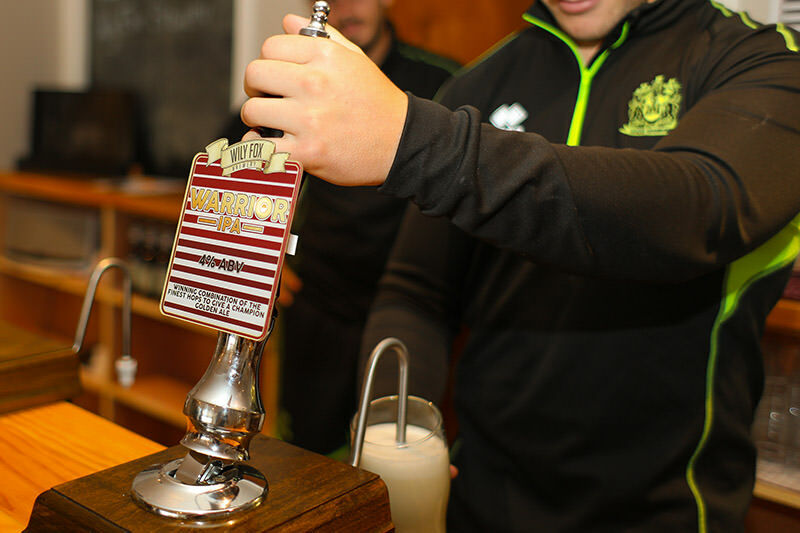 The bar will be open from 11am, join us and be one of the first to sample Wigan Warriors very own Craft Beer! We invited George Williams & Oliver Gildart to come to our tasting room and pull the first pints of the craft beer.